Is Intermittent Fasting Better than Dieting? 17th Annual Preston Health Mela was held at the University of Central Lancashire, on Saturday 14th. April 2018. 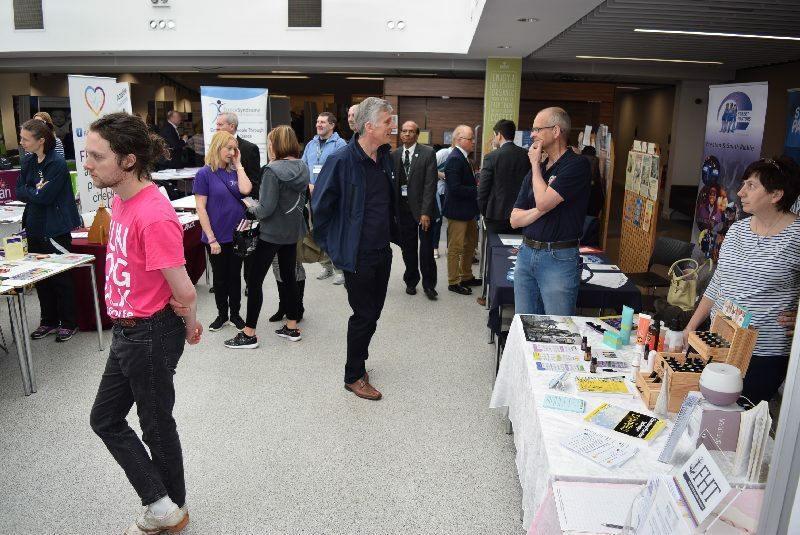 On Saturday hundreds of visitors of all ages stepped out of the long awaited and welcome Spring sunshine into the equally warm and welcoming atmosphere of the 17th Preston Health Mela. 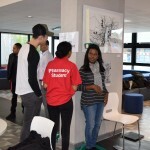 Once inside the spacious and inviting environment of the University’s Foster Building they found an exciting treasure house of information and entertainment focused on the enhancement of community health and wellbeing. 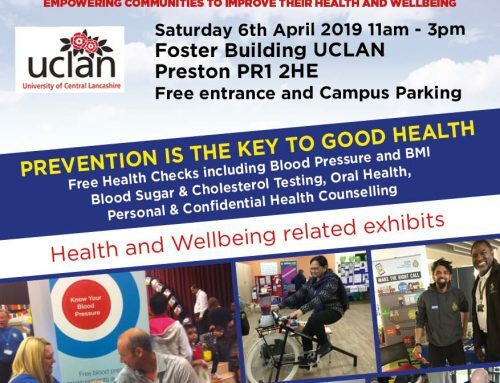 The Mela, hosted by the University of Central Lancashire (UCLan), was organised by the National Forum for Health and Wellbeing (NFHW) with essential support from the Lancashire Teaching Hospitals and the Lancashire Care NHS Foundation Trusts and a wide range of voluntary and statutory organisations. Dr Kieran Moriarty, CBE, Consultant physician and gastroenterologist at the Royal Bolton Hospital, and alcohol lead for the British Society of Gastroenterology, and Dr Chris Moulton, Consultant in emergency medicine at the Royal Bolton Hospital and Vice-president of the Royal College of Emergency Medicine in the presence of the Mayor of Preston, Cllr. Brian Rollo. 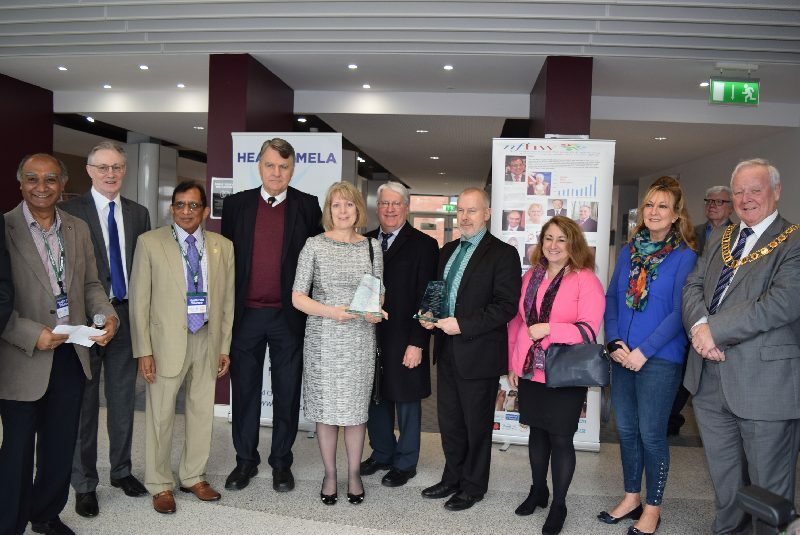 During the opening ceremony, Fellowship Awards of the National Forum for Health and Wellbeing were presented to: Professor Nigel Harrison, Executive Dean of the Faculty of Health and Wellbeing, UCLan, and Dr Lynne Livesey, Deputy Vice-chancellor, UCLan in recognition of their outstanding support for the work of NFHW and the Preston Health Melas. After welcoming dance performances sponsored by the Gujarat Hindu Society and Dance Syndrome, individuals and family groups were able to visit over 60 stalls. 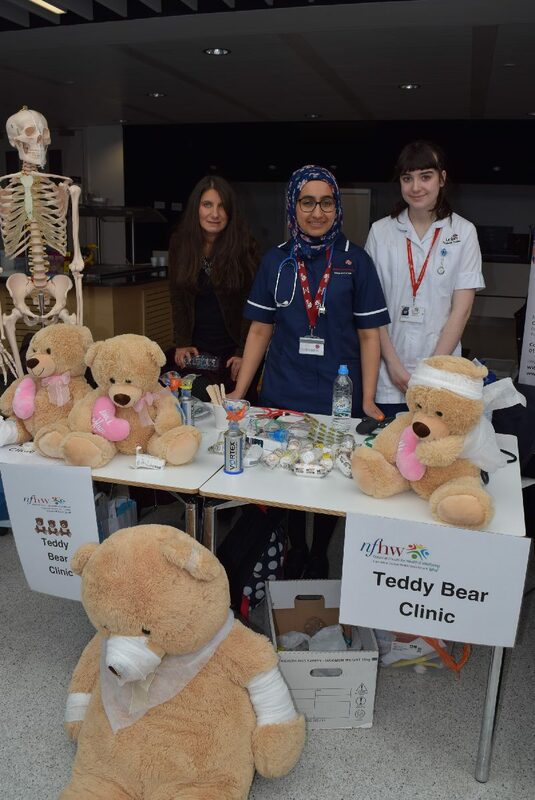 Each had expert health care professionals and volunteers on hand with the latest facts to support healthy life styles and give advice on personal and family health and wellbeing. 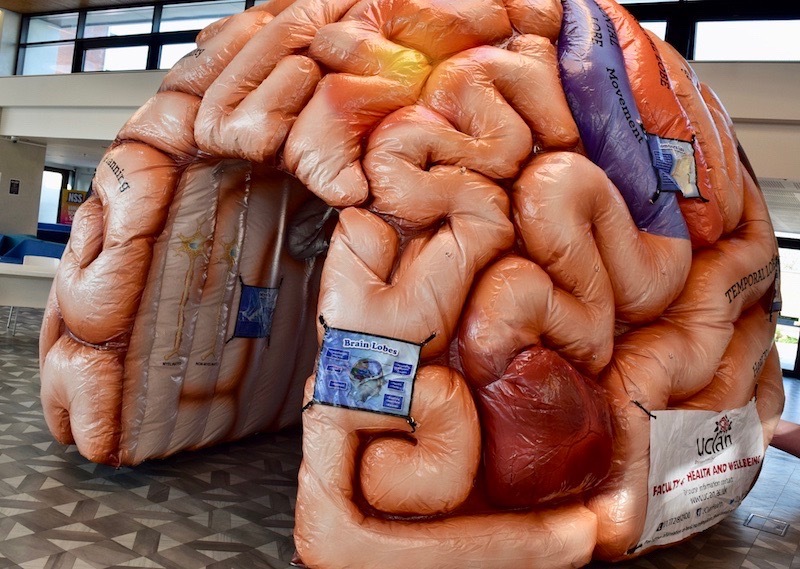 Visitors checked out the amazing, inflatable walk-in mega-brain, took on the role of doctor or nurse in the popular Teddy Bears’ Clinic, relaxed in the ultra-calm atmosphere of a Reiki session or maybe pedalled hard towards the reward of a healthy drink on the smoothie bike. Add to these attractions the opportunity to visit the theatre to learn about the work of the Preston Street Pastors or how to keep the family safe amongst the potential perils presented by lap-tops, tablets, mobile phones and their associated apps and you have all the ingredients for an exciting and thought-provoking day out! 106 visitors took advantage of the series of health checks which form the Health MOT. 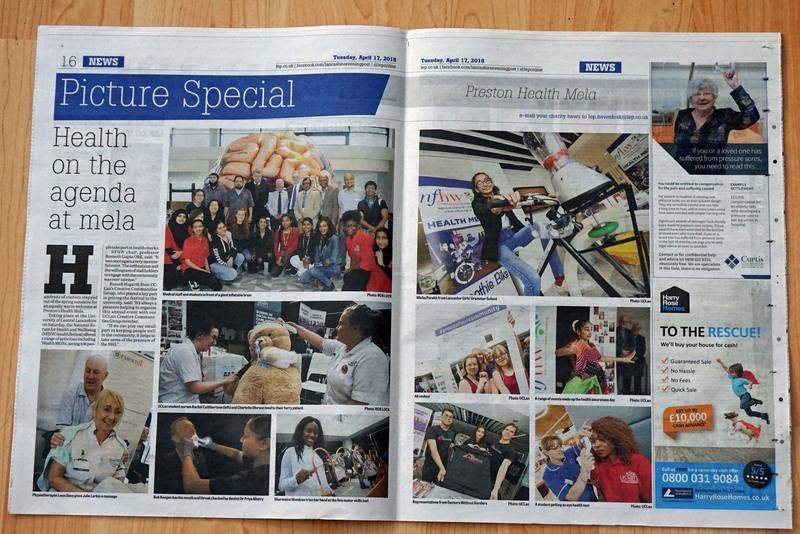 These were undertaken by the Blood Drop team, a group of professionals volunteering from Lancashire Teaching Hospitals assisted by volunteer senior medical and pharmacy students from UCLan along with students from American University of the Caribbean School of Medicine. The tests included blood cholesterol, blood sugar and blood pressure levels. Of those tested, 35, (33%), were recorded as abnormally high on one or more of the measurements taken. All those taking part in the health MOT were offered health and lifestyle counselling and if appropriate referred to their GP for further investigation. A ‘Breakfast Meeting’ for invited guests, focusing on a health topic of contemporary local interest is traditionally held immediately before the public event. At Saturday’s packed meeting, Honoured Guest Dr Kieran Moriarty CBE spoke on the theme, ‘Alcohol induced ill health, homelessness and A&E attendance – challenges for our community’, presenting details of some of the most recent research in this important area and outlining potentially effective strategies for encouraging responsible alcohol consumption. Copies of Dr Moriarty’s presentation are available on the NFHW web-site – see below. 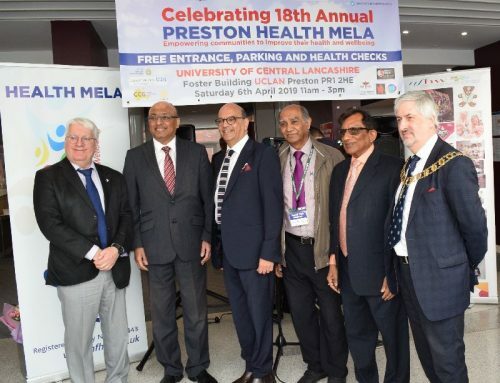 From Dr Kieran Moriarty, CBE: ‘The 17th Preston Health Mela was quite different from any other meeting, which I have attended in 43 years as a doctor. It was a privilege to be invited to speak. The Mela was superbly organised, with a wide variety of stalls. All of the stalls were well laid out and the participants were tremendously enthusiastic and helpful. The highlights for me were the library stall, where I was informed as to how I could access a wide variety of books on line and my Reiki experience, which I found very relaxing. 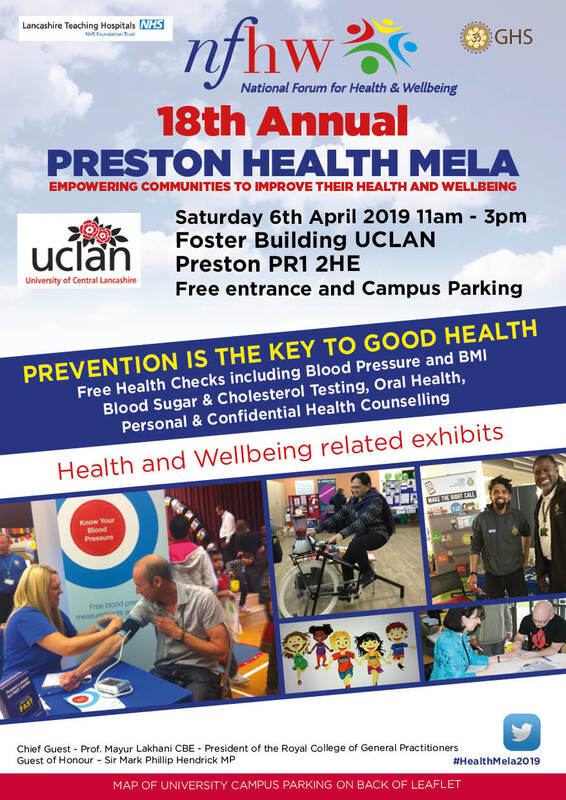 I understand that other areas have taken up the Mela concept and I would encourage others to do likewise, both from the information aspect and also for the communal spirit generated, which was so clearly in evidence at the Preston Mela’. 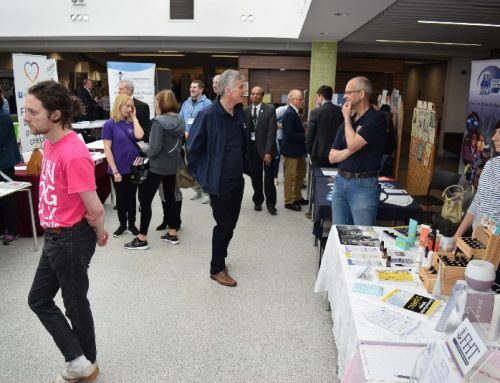 From Dr Chris Moulton: ‘Breakfast at the University of Central Lancashire on a Saturday morning is not the usual place to discuss the enormous health problems caused by alcohol in the UK but that is exactly what Dr Kieran Moriarty did. 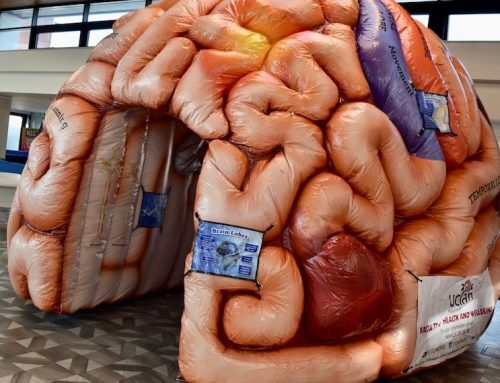 The renowned alcohol lead of the British Gastroenterological Society surprised a large audience about the size and cost of these problems as well as the human suffering that they cause. As Vice-President of the Royal College of Emergency Medicine, I already knew that cider in plastic bottles is cheaper than most designer spring waters and have spent many years in NHS A&E departments treating people with a huge variety of injuries and other health problems that result from alcohol abuse. We also discussed homelessness and other social issues linked to alcoholism. community wellbeing. I am so grateful to them all for the massive amount of effort and good will they all contribute to make the Health Mela such a successful event’. 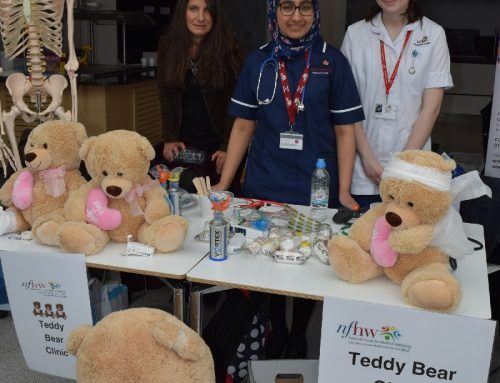 NFHW invited guests to come along to the 17thPreston Health Mela for a warm welcome, to expect an entertaining and informative experience with something to appeal to all the family, and to leave with a refreshing new perspective on family health. We hope that the brief initial report on the event presented above evidences the extent to which we fulfilled our ambitions. These illustrations are free from copyright restrictions when used to promote the activities of NFHW.